The International metting 2019 was attended by the company’s Steering Committee as well as by the representatives from its network of delegations in 14 countries and all of the managers of the different areas: Technical, Sales, R&D+i, Finance, HR, Marketing, etc. During the event, Lantek confirmed its leadership of the metal and sheet metal working industry and made clear its desire to continue its commitment to innovating and providing that innovation—realized with advanced manufacturing solutions—to a sector that must streamline, revamp, automate, and make its production processes more flexible in order to continue to be competitive and profitable in a hyper-connected world in which there are no borders and where success depends on one’s ability to adapt. Artificial intelligence, machine learning, the cloud, IoT/IIoT, M2M, machine-to-cloud, big data, connectivity... these are the cutting-edge technologies that have been applied to Lantek solutions and will allow users to analyze, extract, and interpret data that provide real value to business and help users make decisions in real time. Moreover, "Lantek’s human team, its talent, and a solid and open corporate culture, along with an extensive and diverse ecosystem of partners are the ingredients that will make it possible for Lantek to maintain its leadership position and make fulfilling its mission possible in the next few years: to assist companies in the sector with digitalization, thereby making us the connection to smart manufacturing and the restructuring of plants into Smart Factories. Of course, we will do all of this without losing sight of our roots, continuing the development of our CAD/CAM/MES/ERP solutions," underscored Lantek CEO Alberto López de Biñaspre. During this meeting, which boasted over 160 attendees this year, the strategy and the business objectives for 2019 were presented as well as the expectations with regard to the activities of the different divisions. The industrial sector’s market trends and ICT were also explored. In this first meeting of the year, the results from 2018 were presented. Last year saw 10% growth in turnover, which reached 19.2 million euros. This demonstrated that the company, which now has over 21,800 customers and employs 244 people around the world, is on the right track. 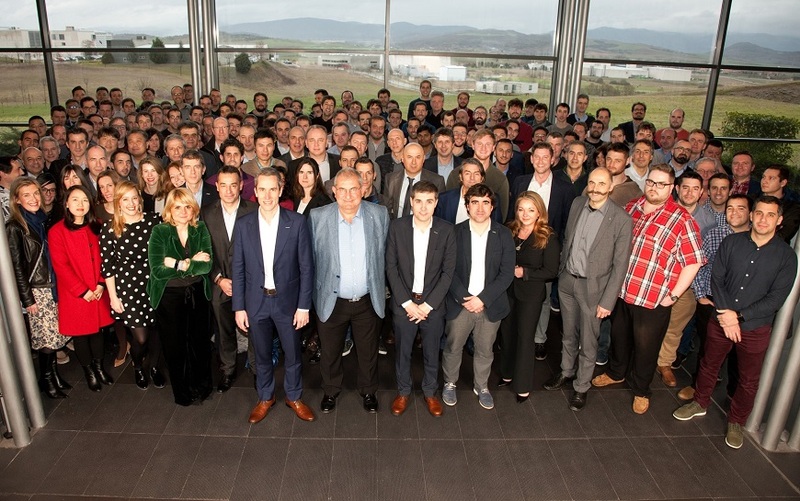 All of these people are, undoubtedly, a great family united by a common project as well as the culture and values found at the heart of it, allowing us to continue our commitment to progressing with excellence and strengthening the company. Similarly, the latest innovations launched on the market were also discussed. These are developments for advanced manufacturing software incorporated into the Lantek 360 cloud platform: Lantek Analytics, iQuoting, MetalShop, and Control Panel. 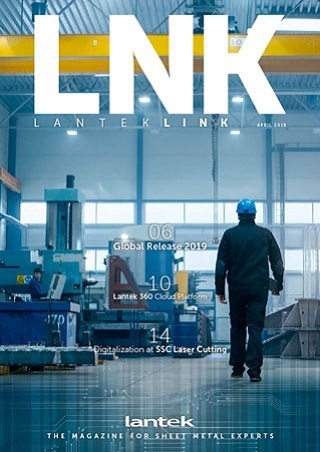 The market’s warm welcome of these Lantek solutions and services indicates that the launches occurred at the right time and that they respond to the challenges posed by the digital transformation and Industry 4.0, revolutionizing production processes at any company in our sector, regardless of size, and making them more efficient.